Roman coin (Denarius). 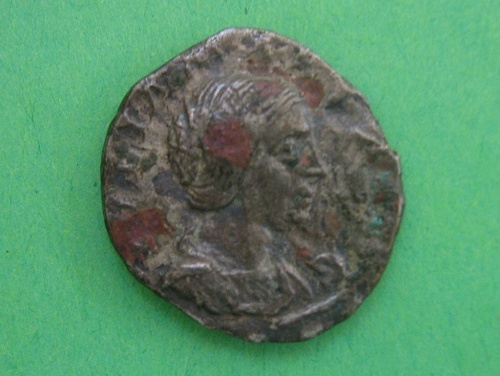 Displaying the head of the Empress Faustina. Metal detecting find in Quorn parish. Found by Dale Clarke.